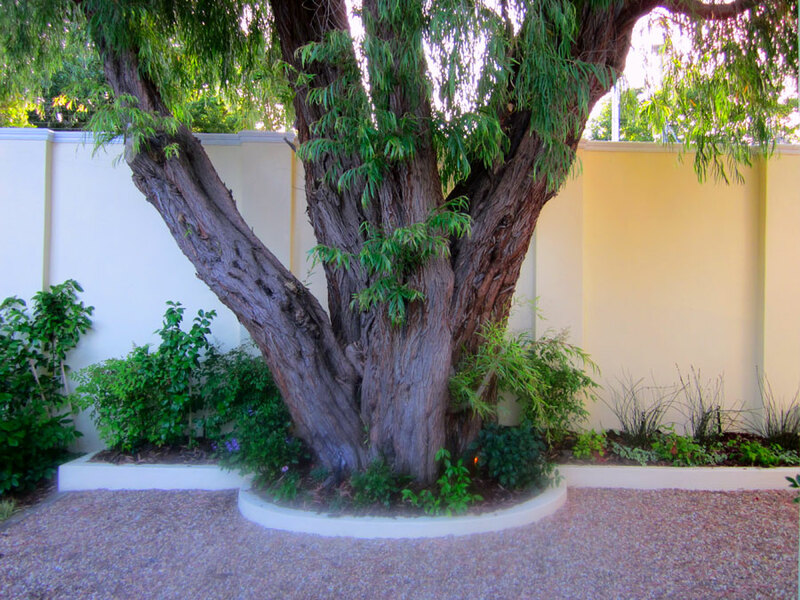 I have a huge Willow tree in my garden – as you open the front entrance to the property it is in fact the first thing you see. I have no idea how old it is – I’m assuming it’s pretty old because it is really large. 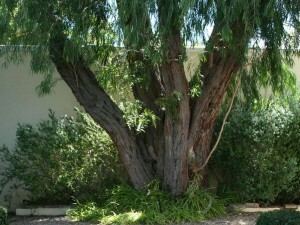 I love willow trees – I think they are quite gorgeous, but this one does throw a lot of shade onto the front garden. Here it is now after it was pruned somewhat to let some light into the garden and with the new plants that were planted in August. Coming along nicely. To the left we planted 2 x Nandina domestica (Sacred Bamboo) on either side of a Cammellia, at the base we have Hypoestes aristata ‘Purple’ – Ribbon Bush, Nandina pygmaea – Dwarf Sacred Bamboo, which are also on the right of the tree, another Sacred Bamboo on the right and then Cape Thatching Reed with Plectranthus madagascariensis. I think it will look great once the plants have had a chance to really establish themselves. (You can view large versions of the photos by clicking on them – no comments about by crappy photographic skells please!!). 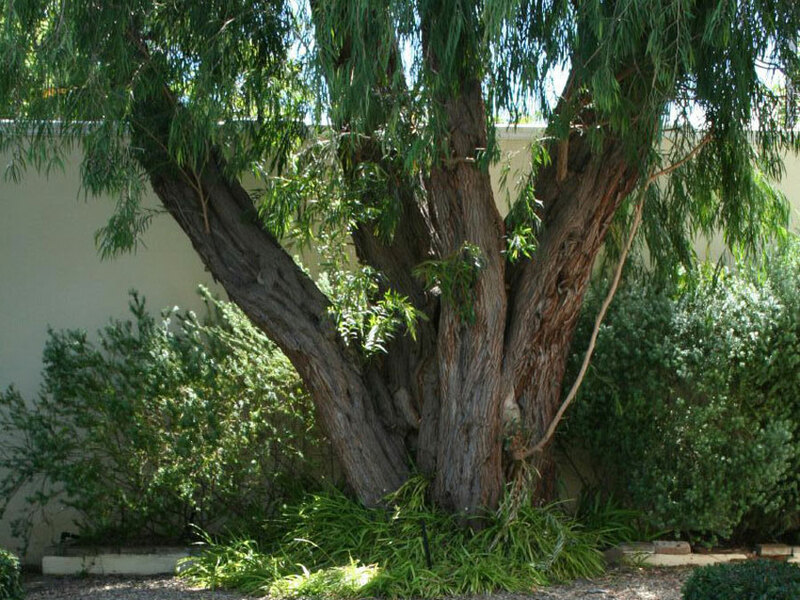 I have some more photos of the “before” pics of the willow that really how show messy this area was which I will upload to our flickr account soon.